Rival bidders Atlantia and ACS are mulling a breakup of the Spanish group, reports say. It would nix the idea of a European champion. But if Atlantia forgets Spain to focus on Abertis’ other assets, it would be politically easier – and avoid a pricey bidding war. 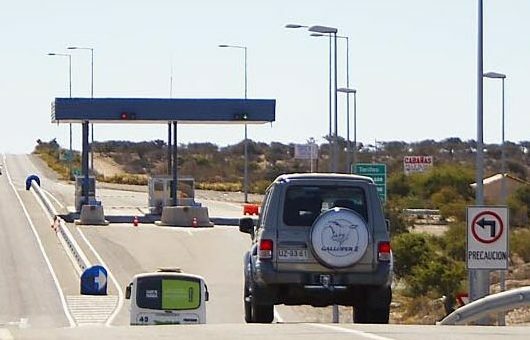 Italian motorway and airport operator Atlantia said in a statement to the Spanish market regulator on March 8 it was in preliminary talks with Spanish construction group ACS over toll operator Abertis, confirming Spanish news reports. Both Atlantia and ACS’ German unit Hochtief have put forward takeover offers for Abertis. Spanish newspapers Expansion and El Confidencial reported that the two bidders were in talks and considering a possible breakup of Abertis to end a bidding war. Abertis’ main business operations are in Spain, France, Italy and Latin America. According to its latest annual report, Latin America and Italy made up 42 percent of its 2017 revenues and 35 percent of EBITDA. Shares in Atlantia were up 4.66 percent to 26.95 euros at 0930 GMT. The Abertis stock was down 4 percent at 18.6 euros. Hochtief was up 5.28 percent at 143.5 euros and ACS was up 7.46 percent at 29.26 euros.